Dental caries is the most common firm tissue disease. There are various causes that are responsible for the dental caries followed by a variety of theoretical assumptions of how does caries actually appear. The most frequent cause is accumulation of dental plaque (bacteries), nutrition enriched with carbohydrates, inadequate oral hygiene, bad habits (nail biting or excessive teeth grinding, so called bruxism). Caries treatment includes its cleaning and complete removal whilst preserving the vitality of the pulp (nerve) and its total restauration with dental fillings. 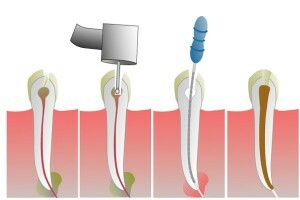 Modern materials used in the field of dentistry have better characteristics than the previously used ones. They are firmer, more resistant to the pressure or cracking. Materials used for dental fillings are composite materials that can be nanocomposites, hybrid composites, glass ionomer cements that are widely used in dentistry.